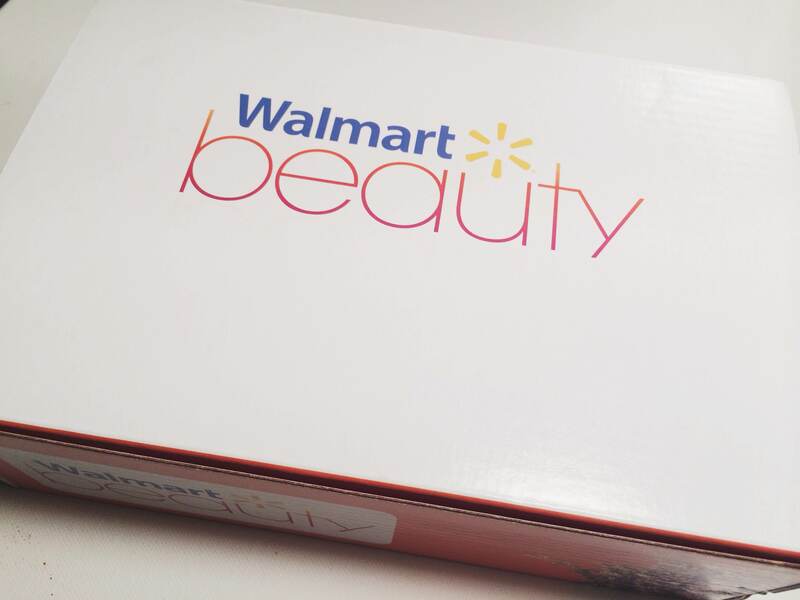 I have mentioned the Walmart Beauty Box before, it’s just a box you can sign up for on walmart.com and it’s actually free, you just pay for shipping ($5). It arrives every season (every 3 months) and it just has cute little samples in it. I actually quite like this subscription box. They always come with coupons, and honestly coupons are sometimes better than samples. At least with coupons I can pick out what I want and what will fit me best, and get it cheaper. These were the biggest things in the box. I received a sample of a Dove body wash, which I actually love Dove body wash. A sample sized shampoo and conditioner set. This says it’s for “dry and depleted hair” which I kinda have thanks to years of dying it, so I will actually be trying that instead of forgetting about them like I tend to do. There’s a baby sample of a neutrogena facial wash. I actually don’t like neutrogena face washes very much, I think they dry my skin out too much. I also got a sample perfume (with a sprayer!) of a Lady Gaga perfume. Here’s to hoping it smells eccentric and lavish. The only full sized makeup item this time seems to be this Rimmel lash accelerator mascara. I’m always on the hunt for a good mascara, so I will for sure be trying this out once I use up my other mascaras. 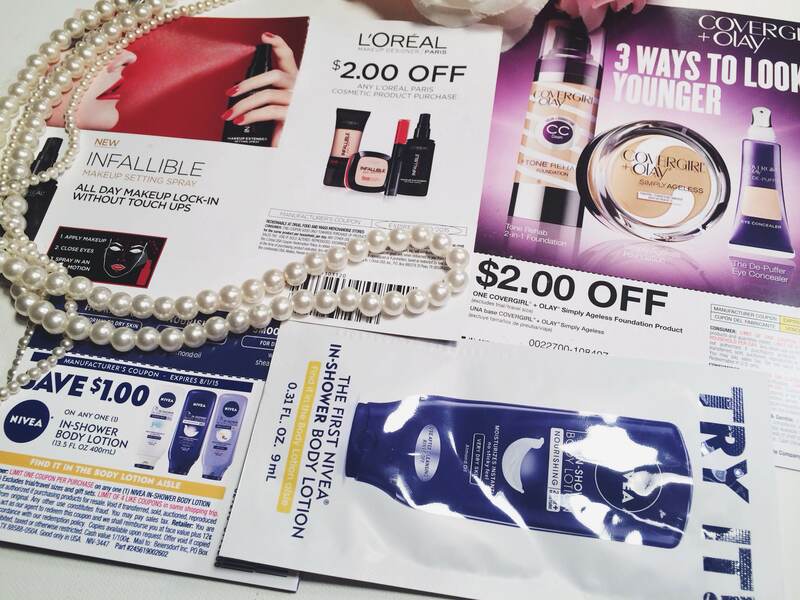 Next thing I noticed…foil packets and coupons galore. I have no problem with foil packets, I just don’t use them. However, I have been wanting to try the new Maybelline foundation. I don’t think that’s my shade, but I will try it anyway. The garnier sleep cream seems really cool too. 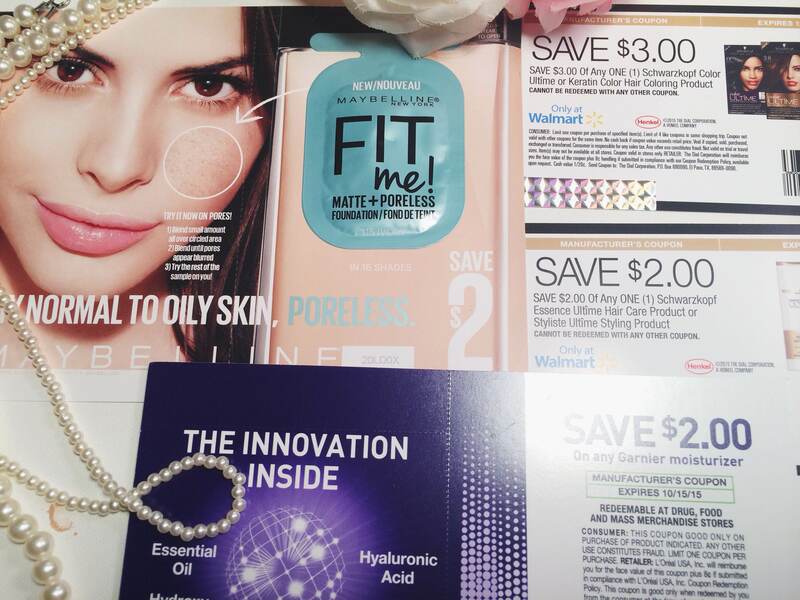 Oh look…more coupons and foil packets. In all, there were $14 worth of coupons in my box! 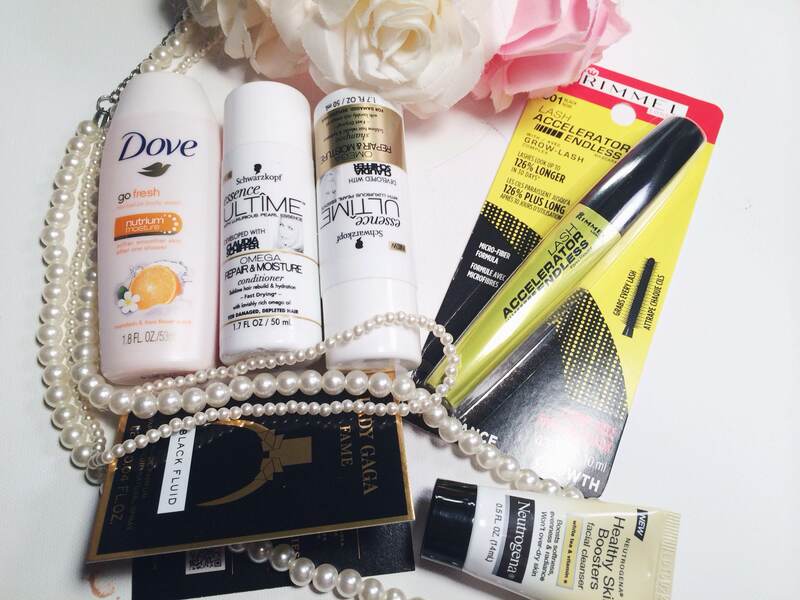 Plus the full sized mascara and other samples, this box was a pretty high value. I enjoy this beauty box, and because it only arrives every 3 months I kinda forget about it and then it’s like Christmas when I do get it! If there’s anything in this post that would like to see a review on, please let me know! As always, thank you for reading and I hope you stick around for a bit! If this your first time stopping by my blog, I hope you decide to stay for a bit!